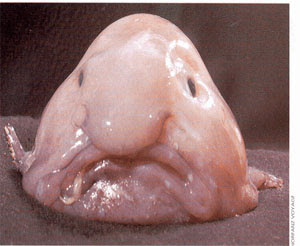 This is a Blobfish (Psychrolutes phrictus). Poor guy. I'd frown too, if I looked like it. Seriously, this is a Pacific fish that lives in the Bering Sea to the waters south of California.